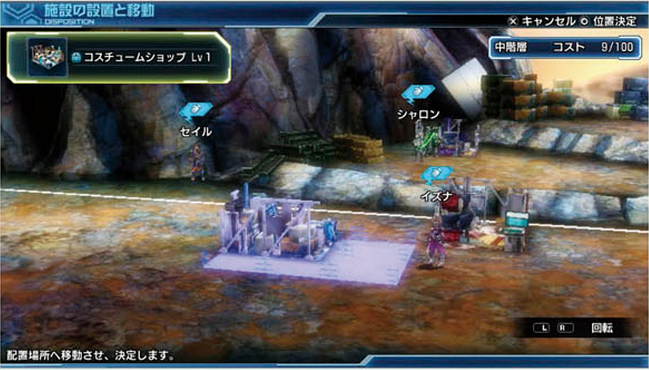 Players will use the energy source known as “Gran” to awaken crew members in cryogenic stasis. As they spring to life, they can be entrusted with managing the operations of various facilities. Players can customize their base, and even transform it into a Japanese style town with a shrine gate and all. Players must first collect materials after defeating enemies, and use them to produce items at the various facilities. Each of these facilities can be leveled up, increasing the kinds of products that can be created through them. 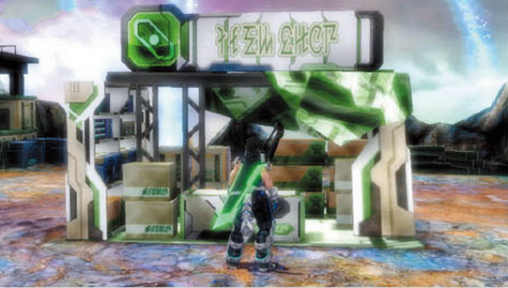 Their designs can change as well, for example, level 1 shops are basically a stack of boxes. At level 2, they start to resemble an actual shop, with a sign overhead in the ARKS font. 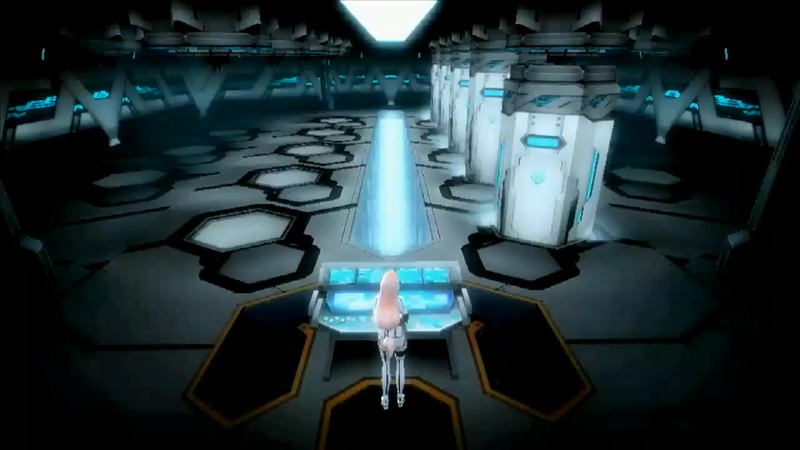 The Weapon Shop is one such facility that can be used to produce weapons. 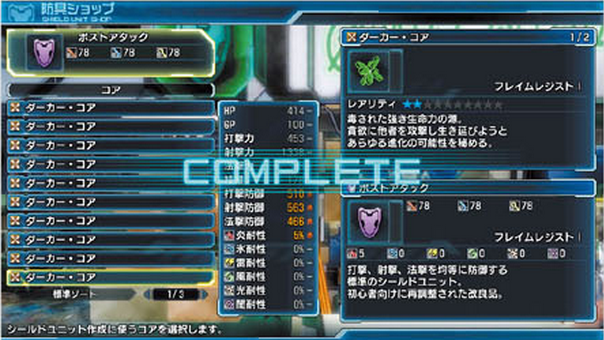 These weapons can have different properties based on the “cores” used upon creation. You can reduce the impact of enemy attacks—through the power of Gran—by equipping “Shield Units.” Just like weapons, the performance varies based on the items used as materials. Be on the lookout for powerful enemies, as they have a higher chance at dropping quality materials. Most of the Delta Valiant’s crew is in cryogenic stasis after the crash landing. 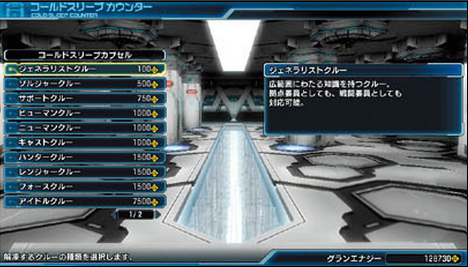 After collecting some Gran, you can use it to awaken the crew members from cryogenic stasis. These crew members may accompany you as party members, or manage the various facilities around the base. This counter also contained an area to input a password, but details about it are unknown. Introducing Orcus and Sharon. Orcus, the hunky fella, serves as the combat squadron leader and instructor for the Delta Valiant. Orcus will be voiced by Akio Ōtsuka best known for his role as Solid Snake. Sharon, a calm and gentle cast, works as a research staff member of the Delta Valiant. Sharon is voiced by Kanae Itō known for her roles in To-Love-Ru and Rusty Hearts. Operators are characters who relay status reports and give advice during a quest. 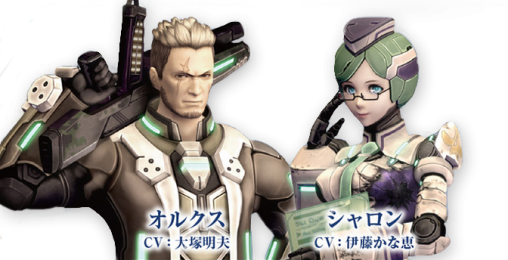 Phantasy Star Nova will introduce a new operator known as Kisara, voiced by Chiwa Saitō, Emilia Percival from Phantasy Star Portable 2! Though slightly outspoken, Kisara relays information with preciseness and speed; but at times she might come off as strict for the staff’s safety. But she’s not the only operator, Rietheia, the person in charge of medical care, will also appear as an operator when certain conditions are met. She reports quite differently from Kisara, listen out for it. Aside from Halos and Piles, here’s a list of weapon categories and the classes that can equip them. Phantasy Star Nova will collaborate with Resonance of Fate to bring you costumes and weapons from the main protagonists. As both titles are developed by Tri-Ace it seems rather appropriate to have a collaboration of this caliber. Reanbell (Leanne), Vashyron, and Zephyr’s weapons and costumes were confirmed so far as part of the collaboration. Phantasy Star Nova Collaborates with Star Ocean 4, Valkyrie Profile, and Resonance of Fate!